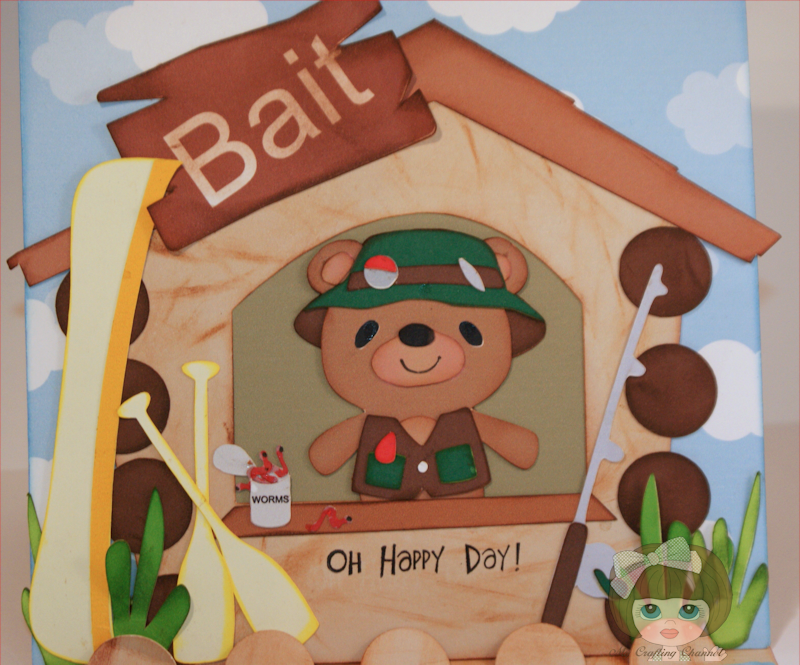 My Crafting Channel: Teddy Bear Parade #25 "Fishing"
Teddy Bear Parade #25 "Fishing"
Oh Happy Day! Bait Shop. 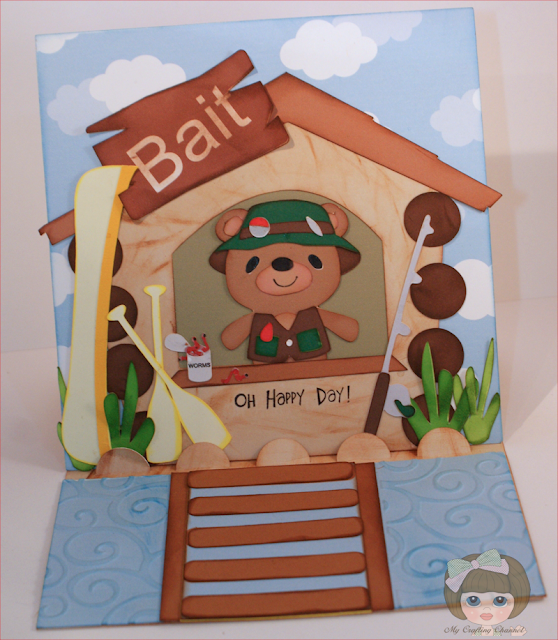 fabulous again Nana, I like the bait hut and the embellishments. What a fabulous job you did on this! ADORABLE!!!! So, I can't use the word CUTE...already used! I can't use the word ADORABLE...already used! I can't use the word FABULOUS...already used ! I can't use the word PERFECT...already used! A W E S O M E was the bet choice for this detailed card!! Creative Wishes, have a creative weekend. All your "teddy" cards are just sooooo adorable! Loving them all! Too cute, love the details on your card. Another cute one - he look like a busy bear. This is TOTALLY cute!! Love the background scene!!! Darling! I love how Teddy is framed in the window of the bait shop! Omg...the scene is incredible! What a fun guy card...this would be perfect for my hubby!